The Honey-Do Man: Clean Your Dryer Vent! Let Me Clean Your Dryer Vent! You think your dryer is getting old because it's taking longer to dry a load than it used to. If you set your timer, you KNOW it's taking longer, because you have to run it twice. But if you set it on "MORE DRY", you aren't even aware. But your dryer is not the problem! A new dryer will take too long too! 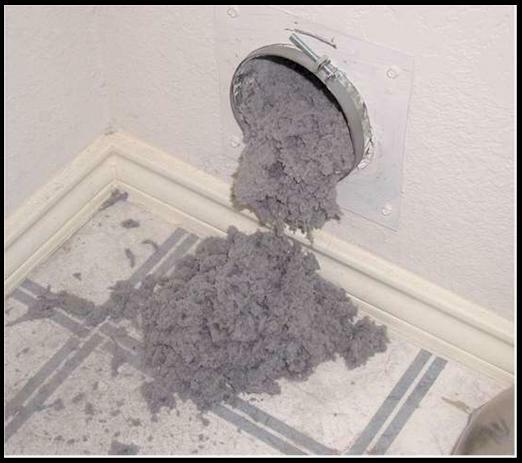 The problem is your dryer vent, which is clogged like a bad artery. YOU couldn't breathe through this much junk. You dryer can't either! If your dryer takes an extra half hour, and you do four loads, laundry day takes TWO HOURS longer than it should! Stop wearing out your dryer! Did you know that slinky-style flexible vent hoses ARE FLAMMABLE?!?!? Even the shiny foil one that you think is made of metal? Watch this YouTube! 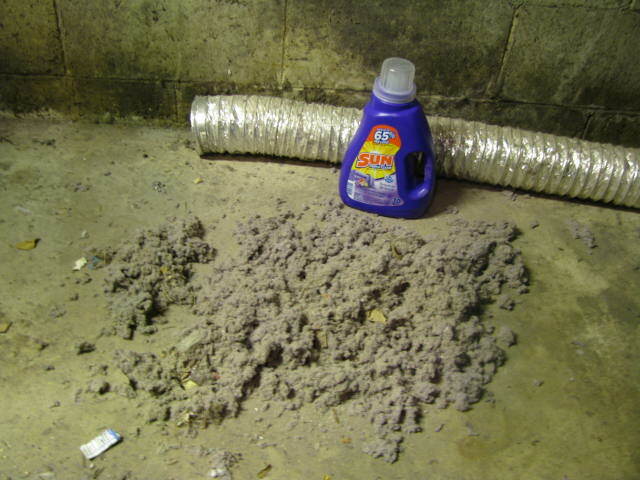 Let's not CLEAN your dryer vent! Let's REPLACE IT!!! I don't use that slinky stuff, neither white plastic nor foil. My stuff is rigid, and doesn't have those slinky ribs which collect lint. When I'm done, you will never need me to clean your vent again. You will be able to remove it, take it out into your driveway, and hose it out! I charge a flat rate of $99 for vent cleaning. For vent replacement, I charge the same $99 for labor, plus $69 for materials for the first 8 feet, plus $29 for an extra 8 feet.